"Legends tell of a wizard so arrogant that he felt the entire sky was naught but a lens for him to view the stars. So great was the hubris and defiance of this man that the gods smote him with the power of storm and fire. Oh did the wizard laugh at such a pathetic gesture. He did not fear the gods, for he drew his knowledge from something greater. Something darker. The legend of this wizard grew, first whispered by men in fear, and later in awe. The wizard, they said, attacked the gods just as they had attacked him. And his joy only grew as the land around him died. But then there was no more news. No more talk. Something had finally brought the wizard low, for though the sky still blazed down on him and his abode, he no longer blazed back. And now you’re going to walk right through this wizard’s front door." 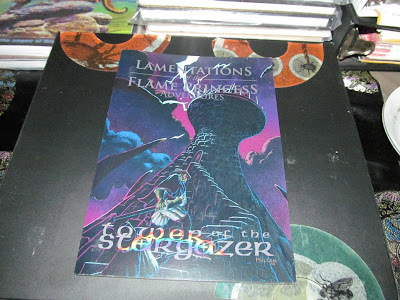 So begins Lamentations of the Flame Princess's Flame Princess's Tower of the Star Gazer adventure. We're going to dive into adapting this adventure for another style of play. The tower itself is designed as a beginning level adventure but many of the rooms, their weird contents,etc. can & should be customized to the dungeon master's needs. Tower of the Star Gazer is designed to introduce the Lamentations of the Flame Princess retro clone game ethos to the table & it does an excellent job. Pre WWI was a power keg waiting to happen & the areas around Bohemia are isolated, wild, & still very dangerous during this time. The themes with Tower are very much in keeping with both the OSR & to a certain extent 70's & 80's classic Heavy Metal magazine. The dark fantasy aesthetic at work here in spades with the author giving the DM advice & an overview commentary of how to run the adventure. 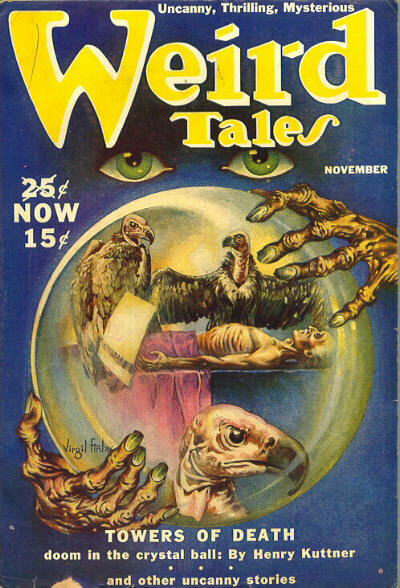 Many of the ideas presented in Tower of the Star Gazer are right along the lines of the dark classic fantasy of Clark Ashton Smith. The tower will not survive the coming days of the World War I & suddenly its going to be erased from world history. But not before adventurers loot it. If they survive the experience that is. The adventure location itself might be from another world crossed over into real world history. This lead in presents all kinds of questions for the dungeon master as to the fact that Tower is bit of a complex beast. Not everything in the tower can be solved by mere 'hack & slash', the players are going to have to think their way out. In some respects this Tower of the Star Gazer is a hearken back to the Weird Tales pulp stories as a PC adventure & this makes it perfect fodder for a pulp or low powered supers game. 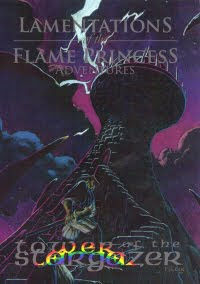 Yes I'm thinking about using Tower of the Star Gazer with Amazing Adventures! rpg from Troll Lord Games.Everything in the tower lines up perfectly with the Weird Tales aesthetic as a beginning adventure but would the characters survive? Especially given the weird & very dangerous contents of the adventure? Artifacts, treasures, curious objects, etc. all reside within the legendary confines of the tower. Villagers don't go near the place & the village near the tower has always had a sinister reputation among the locals. Rumors of the tower & its wizard may have reached the outside world through a modern lone survivor with some of the contents & notes of the wizard perhaps even a map?! Cliched perhaps?! Sure but it gets the players every time & suddenly their off on the hunt for fortune & glory. Given the weird shifting nature of history Tower of the Star Gazer is likely to haunt players for many years to come.